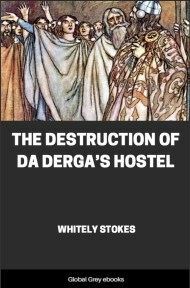 Togail Bruidne Dá Derga (The Destruction of Da Derga's Hostel) is an Irish tale belonging to the Ulster Cycle of Irish mythology. It survives in three Old and Middle Irish recensions. 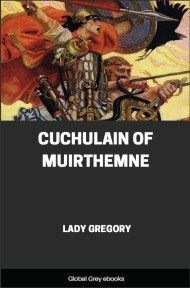 It recounts the birth, life, and death of Conaire Mór son of Eterscél Mór, a legendary High King of Ireland, who is killed at Da Derga's hostel by his enemies when he breaks his geasa. 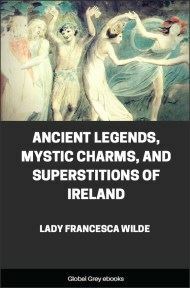 It is considered one of the finest Irish sagas of the early period, comparable to the better-known Táin Bó Cúailnge. There she was, undoing her hair to wash it, with her arms out through the sleeve-holes of her smock. White as the snow of one night were the two hands, soft and even, and red as foxglove were the two clear-beautiful cheeks. Dark as the back of a stag-beetle the two eyebrows. Like a shower of pearls were the teeth in her head. Blue as a hyacinth were the eyes. Red as rowan-berries the lips. Very high, smooth and soft-white the shoulders. Clear-white and lengthy the fingers. Long were the hands. White as the foam of a wave was the flank, slender, long, tender, smooth, soft as wool. Polished and warm, sleek and white were the two thighs. Round and small, hard and white the two knees. Short and white and rulestraight the two shins. Justly straight and beautiful the two heels. If a measure were put on the feet it would hardly have found them unequal, unless the flesh of the coverings should grow upon them. The bright radiance of the moon was in her noble face: the loftiness of pride in her smooth eyebrows: the light of wooing in each of her regal eyes. A dimple of delight in each of her cheeks, with a dappling (?) in them, at one time, of purple spots with redness of a calf's blood, and at another with the bright lustre of snow. Soft womanly dignity in her voice; a step steady and slow she had: a queenly gait was hers. Verily, of the world's women 'twas she was the dearest and loveliest and justest that the eyes of men had ever beheld. 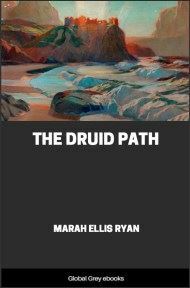 It seemed to King Eochaid and his followers that she was from the elfmounds. 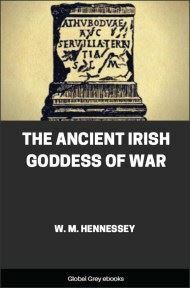 Of her was said: "Shapely are all till compared with Etáin,"
"Dear are all till compared with Etáin." "Easy to say," quoth she. "Etáin am I, daughter of Etar, king of the cavalcade from the elfmounds. I have been here for twenty years since I was born in an elfmound. The men of the elfmound, both kings and nobles, have been wooing me: but nought was gotten from me, because ever since I was able to speak, I have loved thee and given thee a child's love for the high tales about thee and thy splendour. And though I had never seen thee, I knew thee at once from thy description: it is thou, then, I have reached." "No 'seeking of an ill friend afar' shall be thine," says Eochaid. "Thou shalt have welcome, and for thee every other woman shall be left by me, and with thee alone will I live so long as thou hast honour." 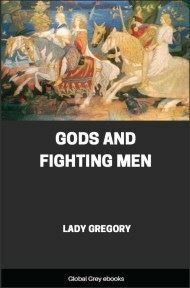 Then Cormac weds again his wife, even Etáin, and this was his desire, that the daughter of the woman who had before been abandoned [i. e. his own daughter] should be killed. So Cormac would not leave the girl to her mother to be nursed. Then his two thralls take her to a pit, and she smiles a laughing smile at them as they were putting her into it. Then their kindly nature came to them. 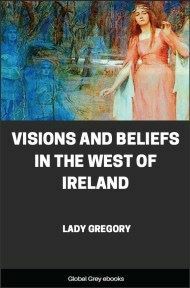 They carry her into the calfshed of the cowherds of Etirscél, great-grandson of Iar, king of Tara, and they fostered her till she became a good embroideress; and there was not in Ireland a king's daughter dearer than she.